Well it's been a long time! I have been lurking and checking in with you all whenever I've had a spare minute and it's been fun watching you all preparing for Christmas. 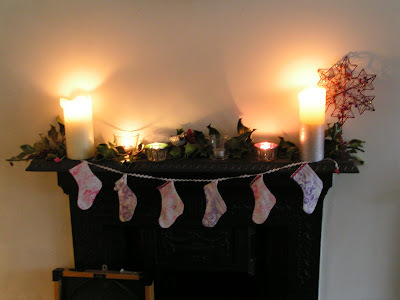 There seems to be a common theme running through all the blogs I read, NONE of us are ready for Christmas! How did it get to 7 days before the big day?? 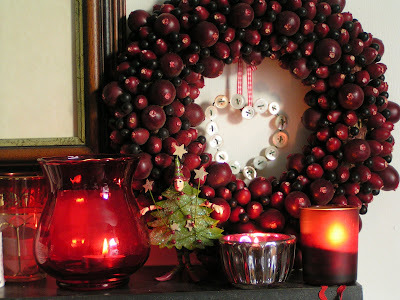 Last I knew it was the beginning of November and all of a sudden Christmas is upon us, HELP! Since I last posted, an eternity ago it seems, lots has happened. The craft business is going from strength to strength, it took off better than we could ever have hoped, thanks to some well timed fairs and parties. Not that it's all been plain sailing, we had one totally disastrous fair that we know never to do again, but you learn from experience and although it was a bit depressing at the time, the next one was the best we've ever done, which boosted our confidence and our Christmas shopping fund! 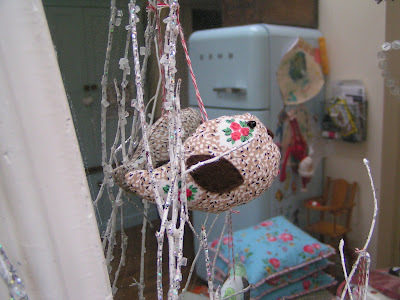 It seems from reading other crafters' blogs that we've all had our fair share of c*****y fairs, with the usual "you could make that" muttered to friends and looks of dismay when you tell people the price - how rude people can be! We've had tremendous support from partners, husbands, children, neighbours and friends, really unbelievable, without them we couldn't have got through the past two months. 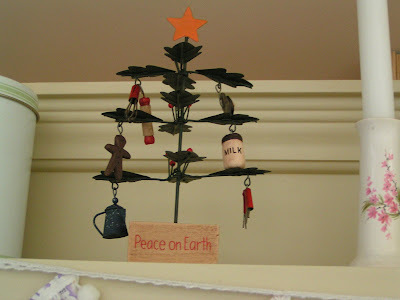 The last order was finished last night so I can breath a huge sigh of relief, put anything I didn't sell on the Christmas tree and open the wine (again) - Hurrah! Andrea and I treated ourselves to a trip to Bicester Village (without children!) as a reward and spent a few happy hours shopping (there's even a Cath Kidston discount shop there!). 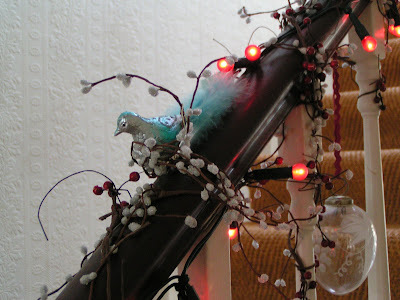 Christmas preparations are now well and truly under way in this house, there seems to be a bit of a bird theme going on! My family arrive on Sunday for about 10 days so we need to de-clutter in a big way! This house will be bulging at the seams, but I can't wait. I love Christmas and I love having family around, there will be plenty of chocolate, nuts, turkey and alchohol consumed - once I've been food shopping that is! 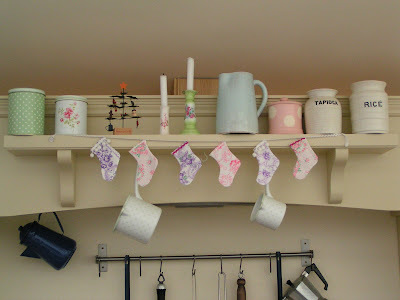 There are lists everywhere, things that need finishing, wrapping or buying. The basement bedrooms have been cleared, we're still waiting for the building work to be done after the floods, but they will be prettified for Christmas in order to put up the 6 extra people. 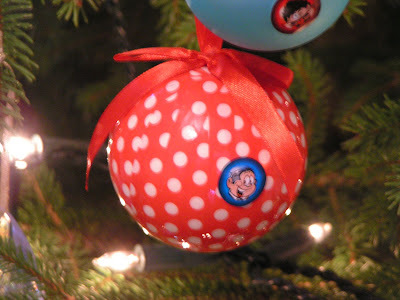 We must be the only family with a special "Beano" bauble, courtesy of Jack! I've taken about 263 photos of the tree and they're all terrible so I've settled for a close up of one of our homemade decorations. Thanks to everyone who sent get well wishes to Mum. Her operation went well, nothing nasty was found and she's well on her way to a full recovery. As usual she kept the full extent of the problem to herself until after the op, but she's well and looking forward to Christmas, making her famous sausage rolls in huge quantities for her grandchildren. It's an enormous relief and means that we can look forward to next year with excitement instead of worry. It's been a great year on the whole, we've had some fab holidays with good friends and family, watched our children grow and change, laughed, cried, talked, danced, argued and shouted (and shouted again - if only our kitchen walls could talk!) a lot, picnicked with grandparents, and made some difficult choices which have turned out to be the best decisions and made us much happier in the end. A typical year in any family I would think! 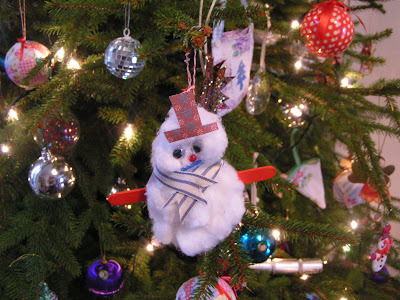 I hope you all have a lovely Christmas and a fantastic 2008. Enjoy, try to relax, and spoil yourselves a bit, and no running off with Santa - his work/life balance is not good! 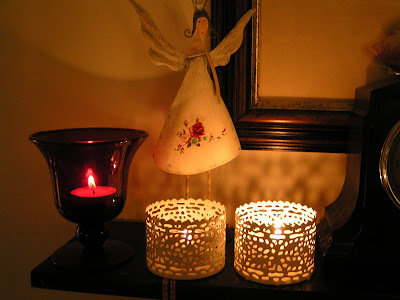 My thoughts are with all of you who've lost someone this year, gather those that matter around you, close the door, light the fire and enjoy each other. 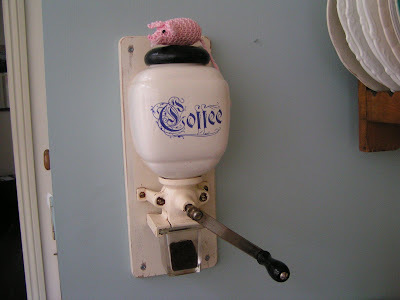 Firstly, ages ago I won "Little Pinkie" over at Suzie Sews and he now lives proudly on the old coffee grinder (out of grubbly little fingers reach!). How cute is he - don't know why I've decided it's a he, it seems that all our soft toys whether they be pink, green or yellow are boys! The coffee grinder was a "must-have" purchase after our Featherdown Farm hol, the kids love grinding the beans, great, as long as you're not desperate for the next caffeine hit! Anyway, thanks a million Suzie, here he is at last! Next I received my Christmas order this morning from the lovely Catherine over at Molly Cupcakes, with a few little extras thrown in. 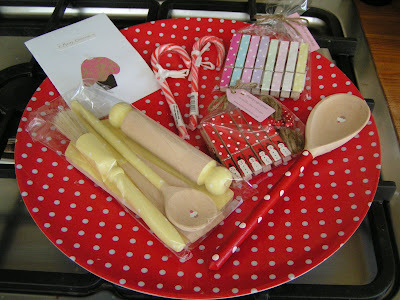 I can't wait to give Kitty the baking set in her favourite colour, or to use the red spoon. 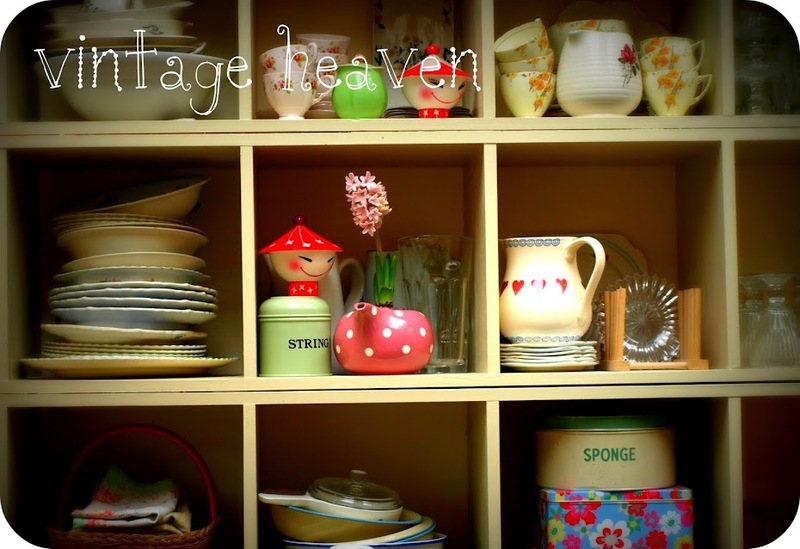 All of her stuff is just lovely, you have to visit! I had the great pleasure of meeting her when she came to collect a vintage ironing board I had for sale, and she is as lovely in real life as on her blog!